Cancer, especially breast cancer, is a common disease that causes many deaths around the world. 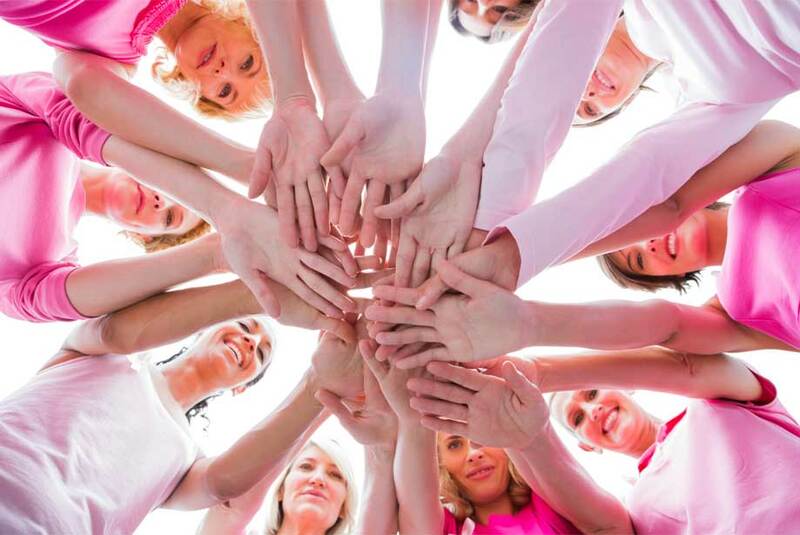 Every year, more than 500,000 deaths worldwide can be attributed to breast cancer. When environmental toxins come into contact with our bodies, they attach themselves to the susceptible host cells within us. The infected cells then proliferate and create cancerous cells, which form into a tumor. According to the CDC, cancerous breast cells have resulted in an estimated 250,000 new cases of breast cancer per year, most of which are found in females. With modern day technology, we are now able to detect cancer in its early stages, resulting in better long-term prognoses for patients. The growth of cancer has a direct link to programmed cell death (PCD), which can come in two different forms, apoptosis and autophagy. As these two forms of PCD are inherently regulated, crosstalk can occur to play a key factor in the stasis of cancerous cells. Apoptosis occurs when multicellular organisms use a balance between pro-apoptotic and anti-apoptotic signals, which are regulated by Bcl-2 family members. While autophagy is the least dominant form of PCD, it still plays a major role in maintaining cellular homeostasis. Autophagy is an intracellular degradation system to recycle misfolded proteins and damaged organelles within a cell under stressful conditions. Apoptosis and autophagy work closely together to regulate cancerous cells with the help of p53 and Beclin-1, two proteins that play key roles in both processes. While p53 is a regulator of apoptosis, it also acts as a tumor suppressor by regulating the cell cycle. Beclin-1 is a regulator of autophagy, which expression is often found to be down-regulated in some solid tumors with mono-allelic deletions of its gene. It can also trigger apoptosis following Bax translocation. A study conducted by Dr. Jakhar and colleagues at the University of Kyoungan determined the symbiotic effects of Histamine and the histamine H1 receptor (H1R) antagonist astemizole on breast cancer. Past research has suggested that histamine plays a major role in breast cancer, due to functional receptors and dicarboxylic activity in breast tissue. Deciphering the signaling transduction pathways and associating pathologies and pathophysiological functions that occur during the cancerous cell cycle provides knowledge needed to develop suitable therapies. Using Enzo Life Sciences’ cAMP complete ELISA kit, the authors of this study determine the intracellular and extracellular processes that occur in MCF, a breast cancer cell line. Their results provide a better understanding of the histamine-astemizole relationship within the cell. Astemizole is known to interfere with H1R in breast cancer. Following treatment with this compound, the levels of calcium within the cell seemed to lead to a decrease in cAMP levels. When histamine was isolated, the researchers saw an increase in cAMP levels. This effect is partly due to the activation of calcium homeostasis through the triggering of H1R. Conversely, treatment with both astemizole and histamine leads to an increase in the levels of both calcium and cAMP. It directly demonstrates the co-effective processes that occurs when breast cancer cells are treated with both astemizole and histamine. Concomitant treatment with histamine and astemizole at low toxicity levels may maximize the anti-proliferative effects of astemizole by targeting p53-dependant and beclin-1-independent crosstalk between autophagy and apoptosis. Although further work is required, such a treatment could be envisaged as an alternative solution to current breast cancer therapies. Enzo Life Sciences offers a variety of immunoassay kits along with our cAMP complete ELISA kit. Enzo provides the most sensitive and complete colorimetric ELISA kits to quantify intracellular or extracellular cyclic nucleotides. As Scientists Enabling Scientists, Enzo is dedicated to providing high quality tools to allow researchers to continue to innovate, some of which are described below. R. Jakhar, et al. Astemizole-Histamine induces Beclin-1-independent autophagy by targeting p53-dependent crosstalk between autophagy and apoptosis. Cancer Lett. (2016) 372: 89.